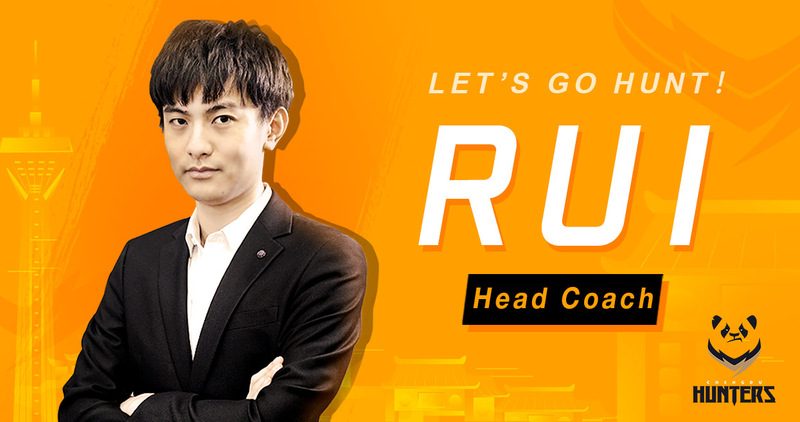 With the 2019 season looming, we sat down for another TGH Round Table with three members of the Chengdu Hunters! We discussed coaching philosophies, their plans to wow the fans, and some personal vendettas… it’s quite the read! Enjoy! So how’s the off-season been for Chengdu? Getting the team together, getting to know one another, getting ready for the season… that’s a lot to handle all at once. How has the team been handling that workload? RUI: We’ve done so much this off-season. We built the team, we’ve been practicing hard, and we made the move to America. There have been some difficulties with that, sure, but we’re at a point now where it seems like everything is going well. Do you feel any pressure as the only fully Chinese roster? Does it feel like it’s really on you to rep your country well, and to live up to the hype of China’s World Cup performance? RUI: There’s no pressure, no. I believe in Chinese talent – all Chinese players’ talent. We’re not worried at all. What sort of team philosophy/work ethic is the staff trying to instill in the team going into the season? RUI: I want everyone to have a positive outlook on this life we’re living, and to have a good attitude when we’re training. Our attitude will keep us working hard and will show our progress, too! For Garry and LateYoung – what are your biggest individual goals for this season, short of winning it all? Do you want to improve on a specific hero, or face off against a certain player or team? Any rivalries? LateYoung: I really want to face off against London. Garry: And I want to play against New York. Are you guys confident that you can take those matchups? Garry: I am! I’m confident that we’ll be able to beat New York. Good! Confidence is definitely important. Are there any other teams like that you really want to face off against? Who’s standing out to you right now as teams you’d want to beat? Garry: The Los Angeles Gladiators.They just signed Decay, who’s a very good flex player. They’re another team I want to play. LateYoung: For me, it’s the Philadelphia Fusion and Hangzhou Spark. What is it about those teams (New York, London, Philadelphia, Hangzhou, and the Gladiators) that makes you so eager to face them in particular? Garry: Their rosters as a whole are very consistent. Their personal skill is way above average, too, which gives them a really powerful play style when they’re playing as a team. London and Philadelphia got first and second place last year, but that’s not just off of their personal skill – it’s also because of their teamwork. For RUI – have you been taking notes on other teams (like the ones Garry and LateYoung mentioned) when trying to figure out how to run this team and its coaching philosophy? RUI: I have my own teaching philosophy. I don’t like to copy other people – I have my own style. Every coach is different – they come from different nationalities, they have pretty different philosophies based on the environments they’ve been in before – it’s very different from one coach to the next. Our lives and experiences are entirely different, so, I’ve got my own style – especially given that I’m working with Chinese players, who have their own style of play to work with. RUI: Our game results, for one. Wins are the best present you can give to the fans, and we intend to deliver. And what about you guys, Garry and LateYoung? How are you gonna wow the fans this season? LateYoung: I’ve got the same idea as Coach. I want to win. The more games you win, the more fans you get! Garry: I agree that winning is the most important thing, but I’m also excited for some offline activities we’ll be working on throughout the season – like fan meetups, like we did in China. When we were there, we did a raffle, and five or six fans that were drawn got to go to the panda research base with us. We bought their tickets and ate some hot pot together. It was nice! That’s a way we can get close to the fans – not only from our performance in game, but outside of the game as well. That sounds great! Thanks for sitting down and talking with us today! Good luck! RUI, LateYoung, and Garry: Thank you! Follow me on Twitter @thibbledork! Ask me questions, or tell me how I’m doing! Follow The Game Haus for more esports and sports stories! !